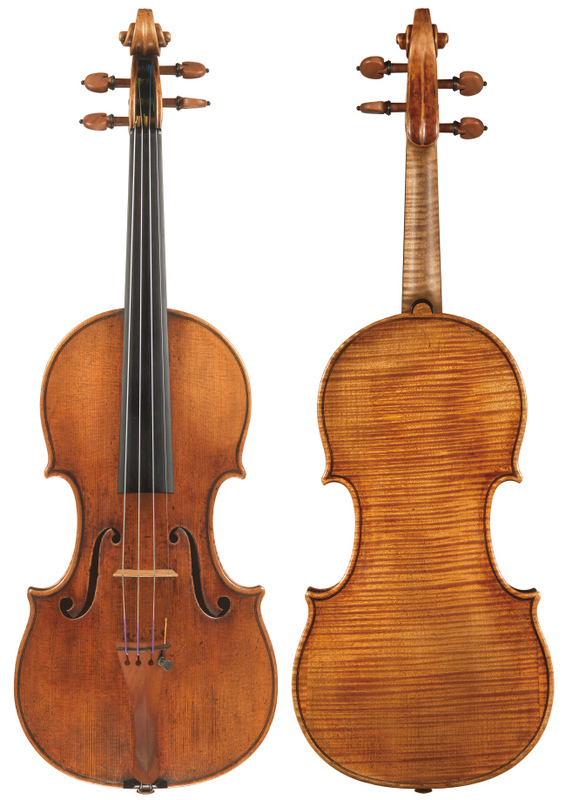 The “Falmouth” Stradivarius -- created in 1692 by Antonio Stradivari -- will be auctioned at Seoul Auction’s 20th anniversary event on Thursday in Seoul. The auction of the “Falmouth” Stradivarius marks the first time a Korean auction house is selling a Stradivarius here, according to Seoul Auction. Internationally renowned virtuoso Leonidas Kavakos was one of the former holders of the violin known for its dark, rich quality in the lower register, as well as power in the higher register. The bidding price for the “Falmouth” Stradivarius is expected to start at around 7 billion won ($6.26 million). Interested bidders will be able to test the instrument on request, Seoul Auction said. Meanwhile, Seoul Auction’s 20th anniversary auction will include some 90 fine-art items by acclaimed artists from Korea and abroad, as well as high-end antiques. The total estimate for the items amounts to 33 billion won, compared to some 300 million won fetched at its inaugural auction in 1998. Among the paintings on the block are Park Soo-keun’s “Two Women with a Tree” as well as Kim Whan-ki’s “Indoor” and “22-VII-70 #184.” Gerhard Richter’s 1993 work “Grun-Blau-Rot” or “Green Blue Red,” and one of Andy Warhol’s self-portrait series will be auctioned. 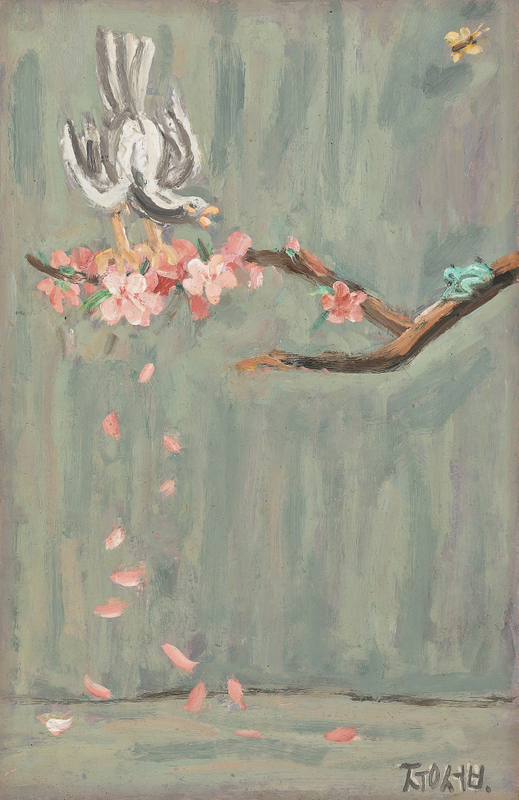 Lee Jung-seob’s “Bird Perching on Peach Blossom” (1954) will also be part of the auction. 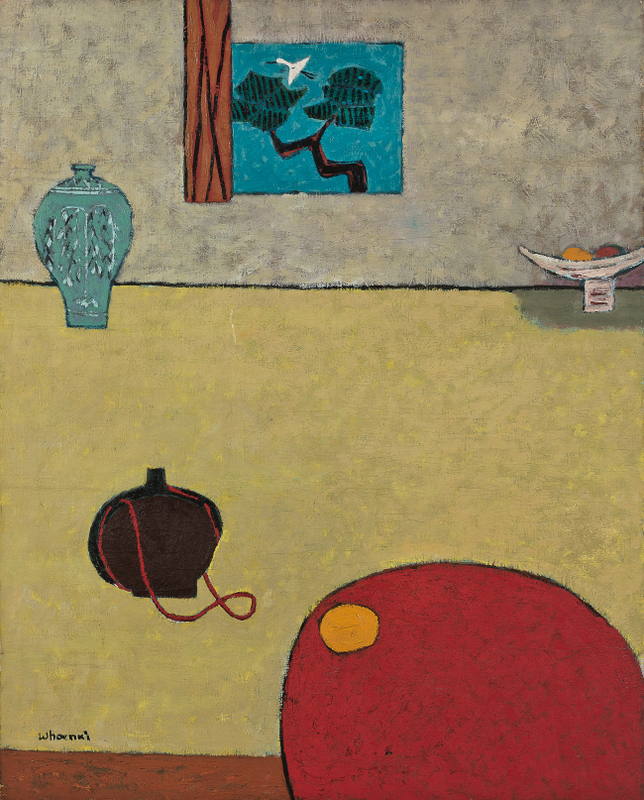 The oil painting was created in the artist’s late 30s while he was staying in Tongyeong. Lee, who died at 40 in 1956, is widely known for his iconic paintings of bulls. The bid for “Bird Perching on Peach Blossom,” characterized by the use of multiple bright colors and strong brush strokes, will start at 3.5 billion won.